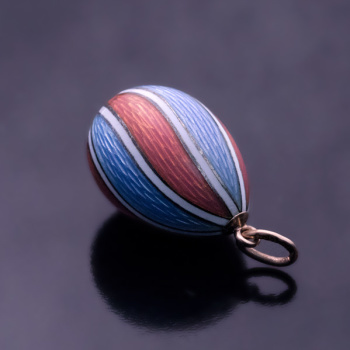 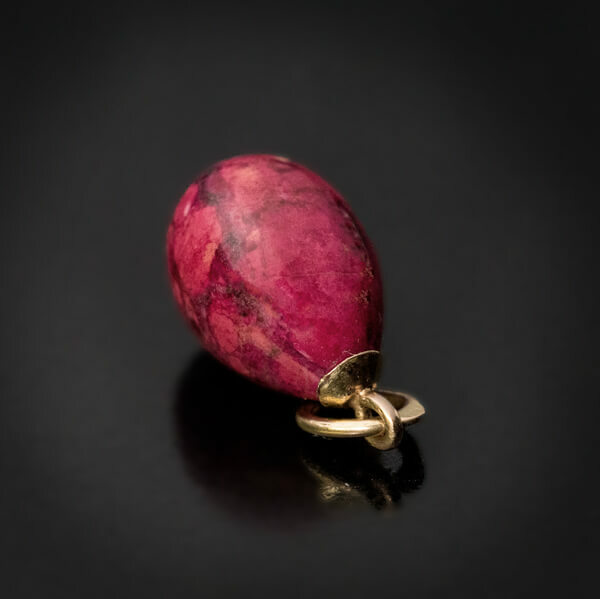 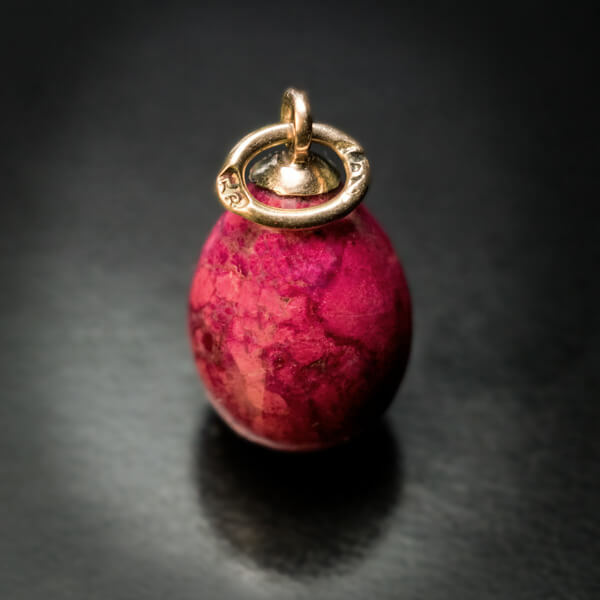 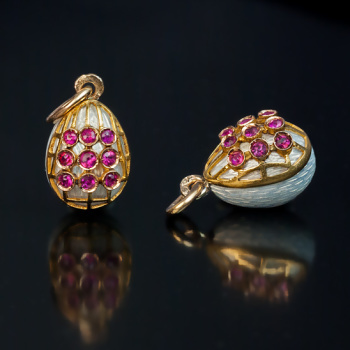 The egg-shaped pendant is carved from a beautiful pinkish red jasper with a nice vein pattern and surmounted with a gold suspension ring. 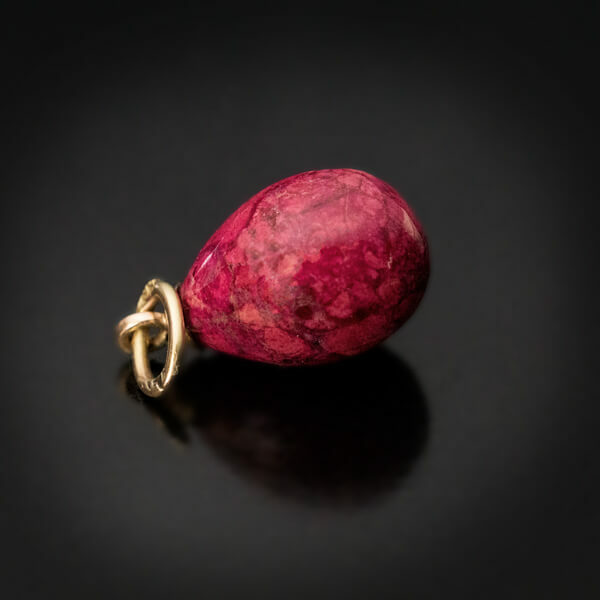 The jasper is presumably from the Ural Mountains. 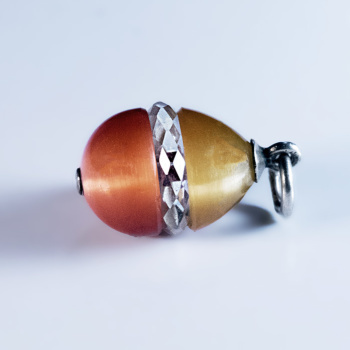 The suspension ring is marked with 56 zolotnik old Russian gold standard (14K) and maker’s mark.